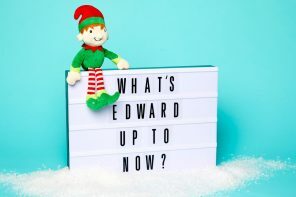 The school summer holidays are looming large and your thoughts are probably very much on how to keep the kids entertained until September! 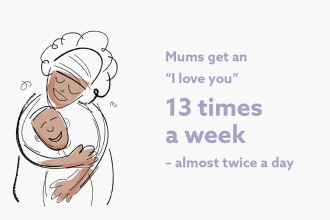 But don’t forget the hard work and dedication of their teachers this past year. 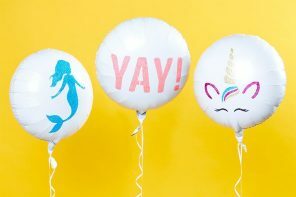 If you want to say thank you for encouraging and inspiring your little ones, then why not show your appreciation with a ‘thank you teacher’ gift? 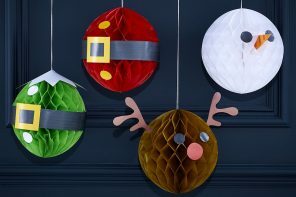 Thought is most definitely what counts when it comes to a gift for their teacher, and if the kids can be a part of it then even better. When it comes to gifts, sweets and chocolates are always a safe bet. 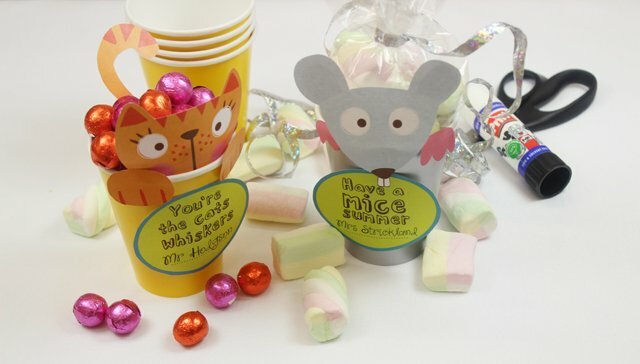 Here, we’ve turned a simple cup of sweets into a cute cartoon character with our cat and mouse and printables! 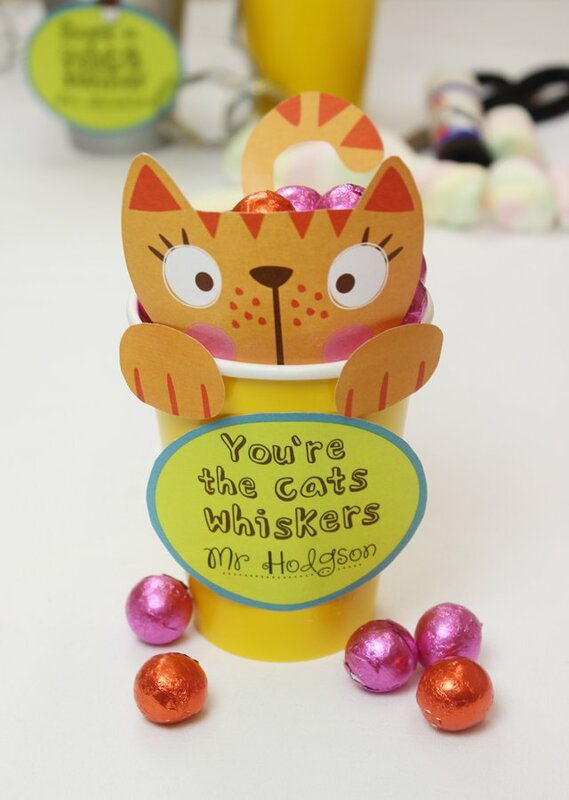 Simply cut them out and stick them onto your cup as shown above, then fill each cup with some purr-fect pick ‘n’ mix. Job done! 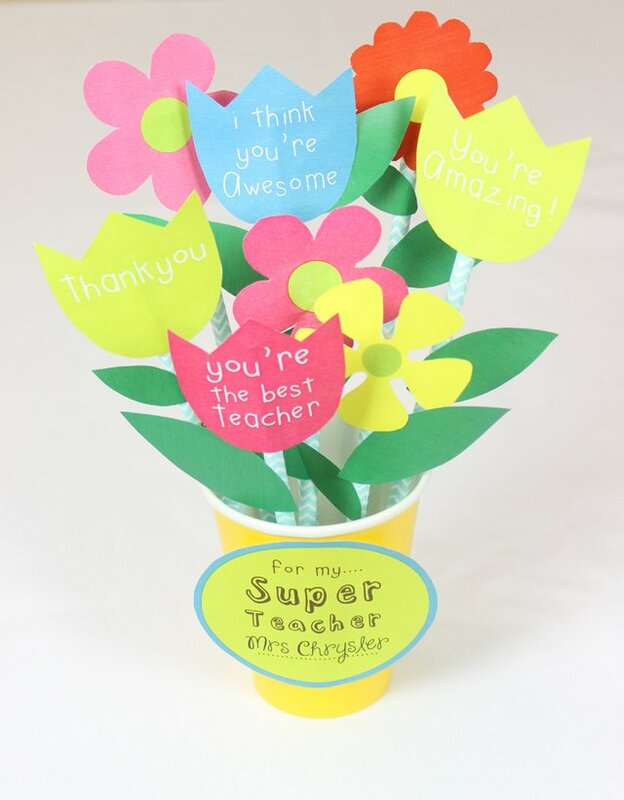 If you’re grateful for everything your child’s teacher has done this year, why not say it with flowers? 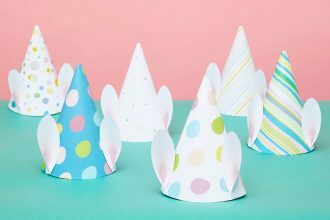 This is an especially nice idea if we’re talking about a teacher who has encouraged your child to show off their creative side. 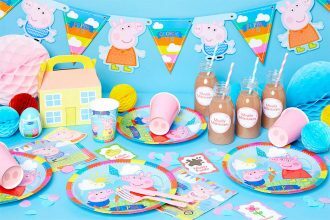 Once you’ve printed off all the paper flowers and gift tags we’ve provided, you can get your child involved with helping you arrange the finished product! 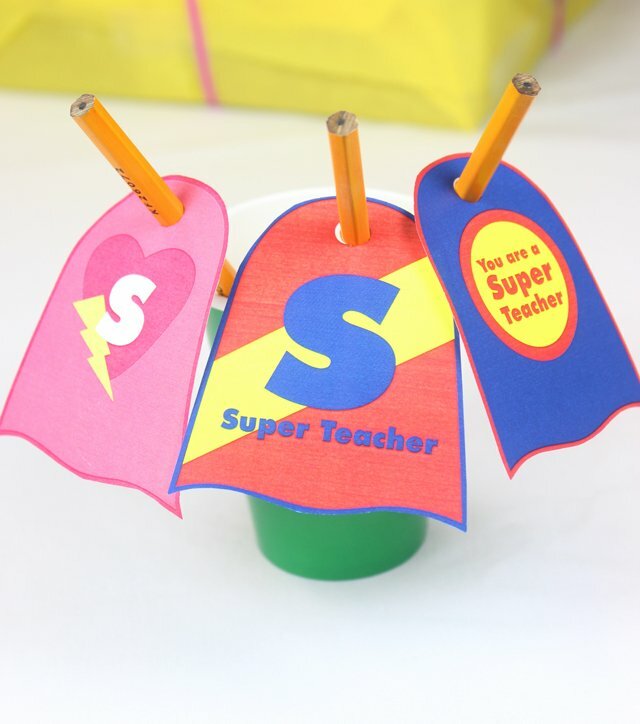 This is a lovely, simple way to show your appreciation for your child’s teacher. After all, they really are superheroes, aren’t they? 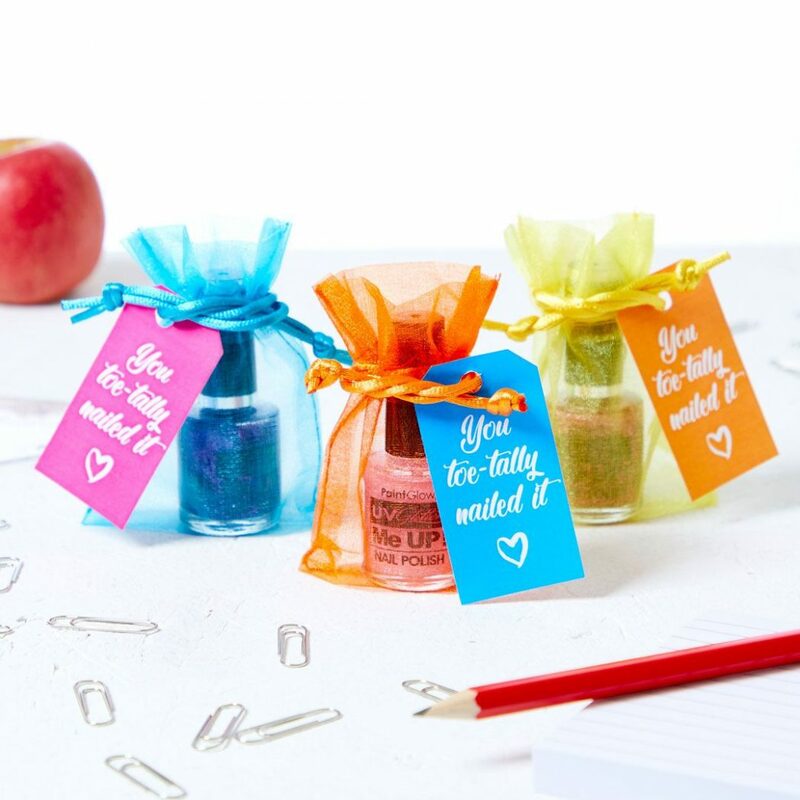 If your little one’s teacher has always come across as the stylish sort at parent’s evening, why not say thank you with this charming gift bag, complete with sparkly nail polish? 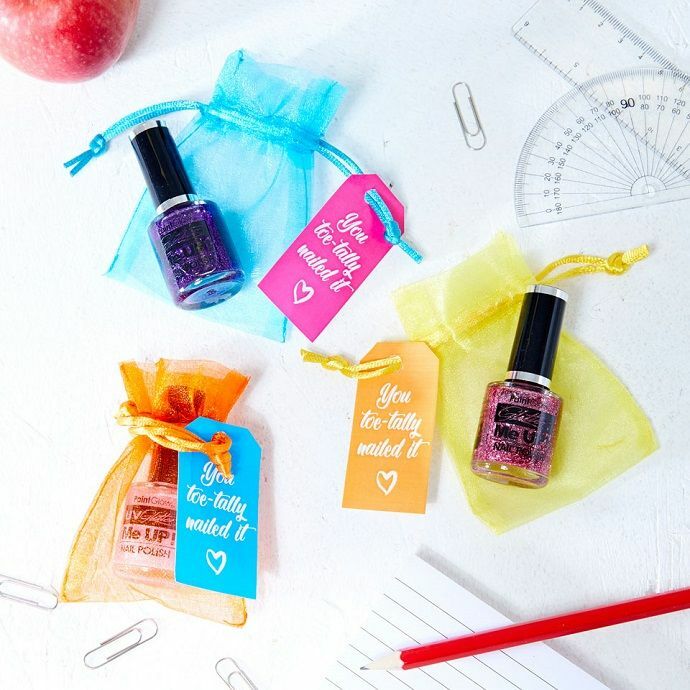 You can buy the organza gift bags here and browse our nail polish range to find the colour you’re after. 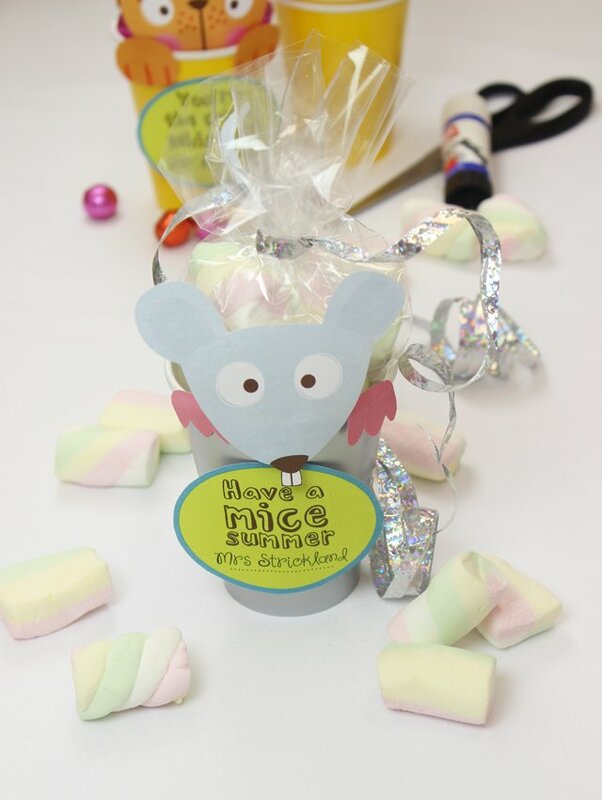 Whatever you’ve bought for your child’s teacher, it’s always nice to share a special message with them. 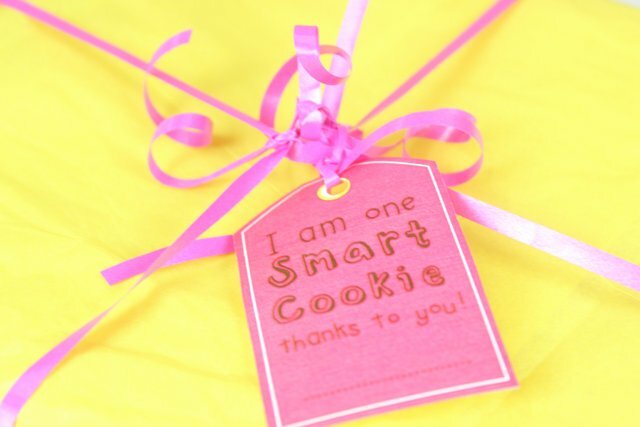 These funny gift tags are a way to do just that, and can be easily attached to both smaller and larger gifts. 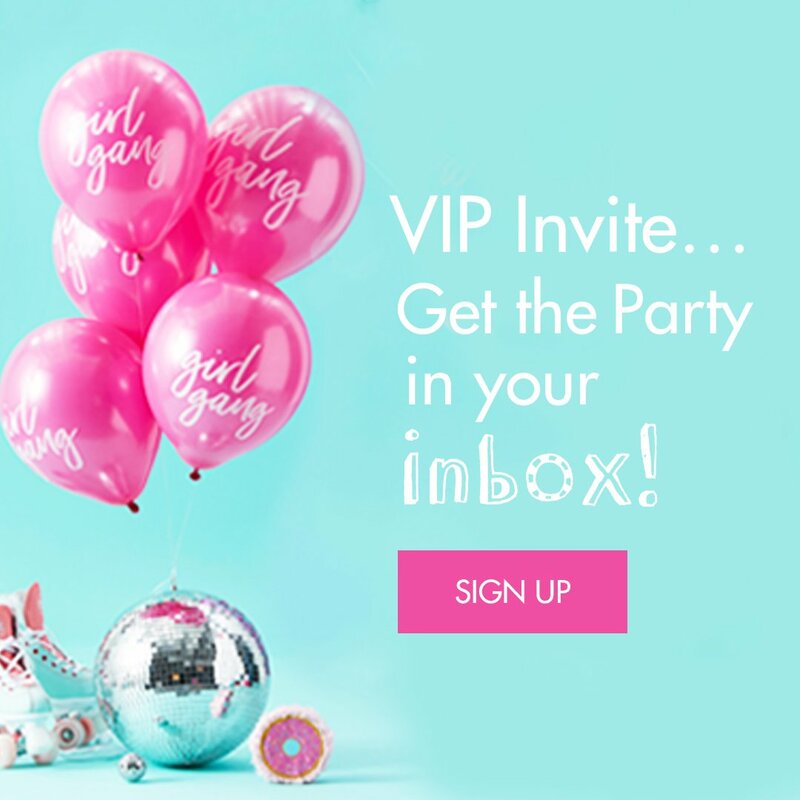 Got your own gift ideas? Let us know what you’re doing to show your appreciation for all the hard work your son or daughter’s teacher has put in throughout the year! Tell us on Instagram or leave a comment below.